Yuki and I have been trying to find a date that works for both of our schedules for a while before this shoot happened. 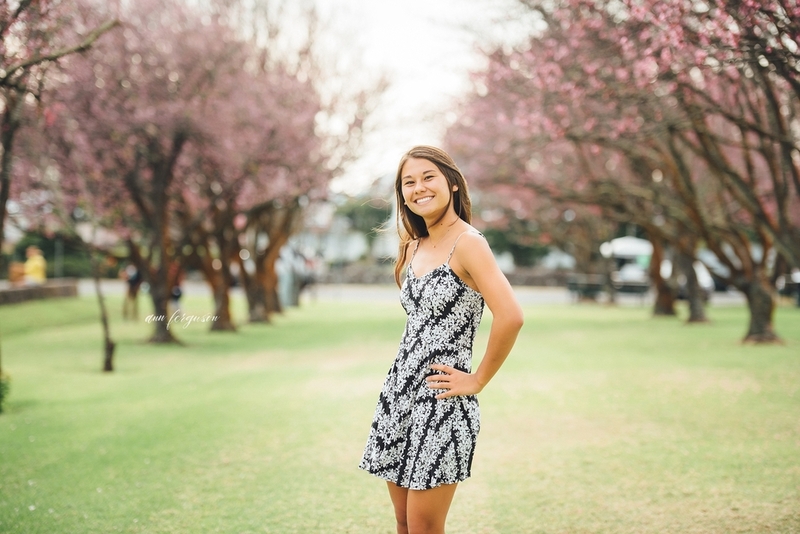 She is a senior at Kohala High School this year and is naturally super busy with school work and college applications! We finally set a date which coincidentally fell right on the peak of cherry blossom season in Waimea. Just a couple weekends before the Cherry Tree Festival! It was such a wonderful morning just exploring other fun spots around Waimea including my (and a few clients) favorite, Mud Lane! Yuki is now off to Harvard in the fall, smart kid! Congrats Yuki!